The Art Junction holds Freaky Friday on 04 December 2015 at Forman Christian College ( A Chartered University ). 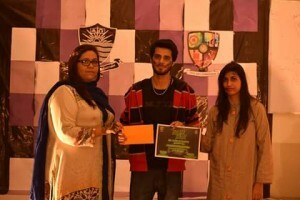 The event was divided into three parts i.e Freaky Art Competition, Art Exhibition & Freaky Walk. 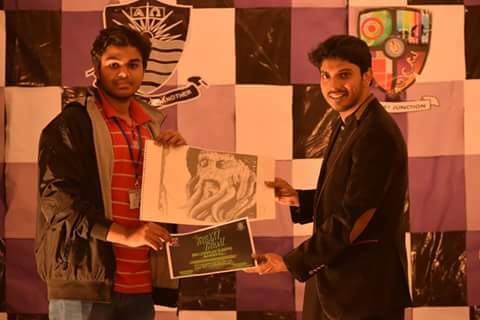 Sharoon Patras’s Davy Jones sketch won the Freaky Art Competition by getting 53 votes out of 146 votes. 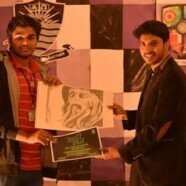 His sketch of a Joker second place after getting 36 votes. 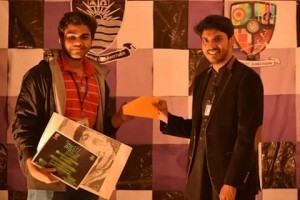 He was awarded with a cash prize of Rs 1000 and winner’s certificate by Art Junction. Ismail’s freaky getup made him won the Freaky Walk. He entertained audience with his freaky looks. He not only won their hearts but also won maximum votes. He was also awarded with a certificate and a cash prize of Rs 1000. All the other participants and the council members of Art Junction got certificate of appreciation.